If you want to stop smoking permanently, you should consider using acupuncture or hypnotherapy. Research published in the American Journal of Medicine reports that people who use acupuncture or hypnotherapy for smoking cessation are 3-4 times more likely to succeed than people who do not. According to this report, acupuncture and hypnotherapy work better than conventional methods of smoking cessation. According to the American Cancer Society, once you stop smoking, your body will immediately start gradually repairing the lungs and air passages. Over time your risk of smoking-related diseases such as heart disease and cancer will drop dramatically. Consider all of those benefits. 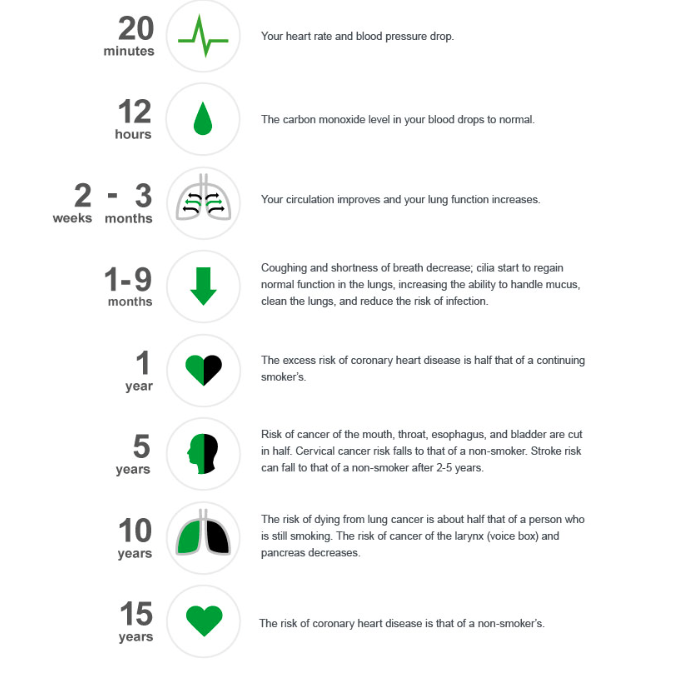 Can you put a price on cutting your risk of dying from lung cancer or heart disease in half? Many people try temporary fixes to quit smoking, but these rarely enable people to succeed permanently. As the joke goes, "I know how to quit, I've done it dozens of times." If you are a person who wants to flourish, and prefer to really take charge of your life, then you will want to get permanently free of smoking. First you will want to make it through the "jitters" withdrawal phase. Both acupuncture and hypnotherapy soothe your nervous system, and herbs, foods, acupuncture or acupressure will help you detoxify as your body rids itself of nicotine, tar, and other toxins lodged in your tissues. The detoxification process is most intense during the first 1 to 3 months after quitting. You are more likely to succeed if you have ongoing professional support during this challenging process. To help you kick butts permanently, acupuncture and hypnotherapy work to remove the causes for your smoking behavior. Usually the root cause is stress or anxiety. Both hypnotherapy and acupuncture help you to manage and minimize stress. They also help you to gain awareness and control of the process by which you get triggered into stress, anxiety, and other mental-emotional states that cause you to self-medicate with harmful habits. Probably you have been smoking for many years, so of course this process takes some time. You might get a temporary result from just one session of acupuncture or hypnotherapy, but to get safely through the entire withdrawal process and create a strong, stable, peaceful internal condition that will enable you to kick butts permanently, we generally recommend a minimum of 6-10 acupuncture sessions, or 3 hypnotherapy sessions. A smoking habit is like a ball and chain. If you want to soar to your potential, smoking will keep anchored to its demands. Its time for you to break free and flourish. Schedule your first acupuncture or hypnotherapy session today.